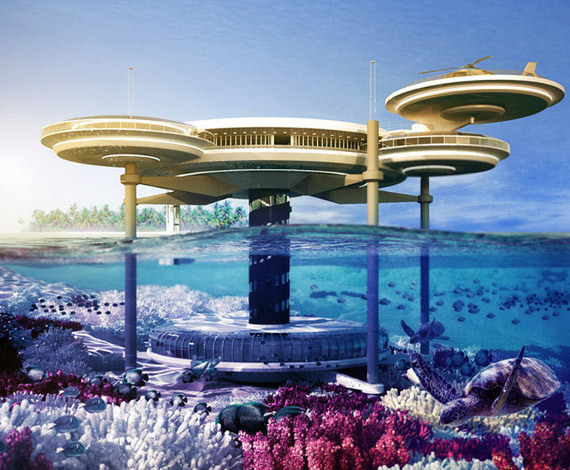 Water Discus Underwater Hotels is a concept developed by Deep Ocean Technology. The project has garnered enough backing to go forward thanks to Swiss firm BIG InvestConsult. 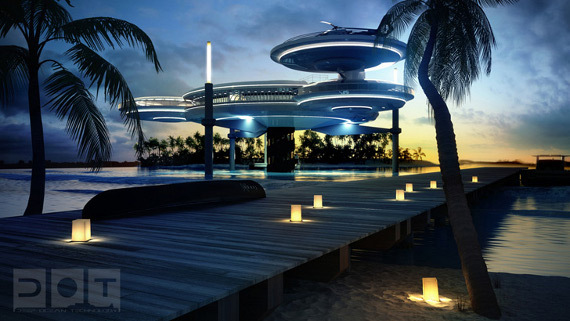 This means the Discus Hotel and Resort in Dubai (pictured) should soon become real-real (and not just for play-play). Say whaaaaaa? 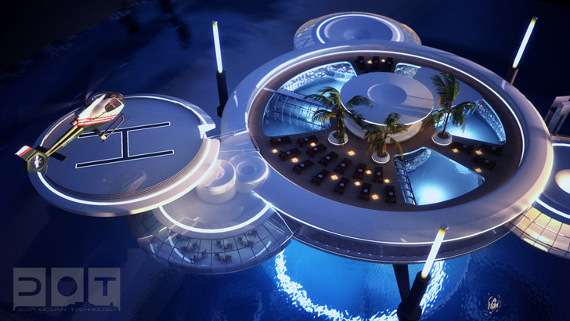 The hotel will be made up two discs — a common area above water and the suites for guests below. 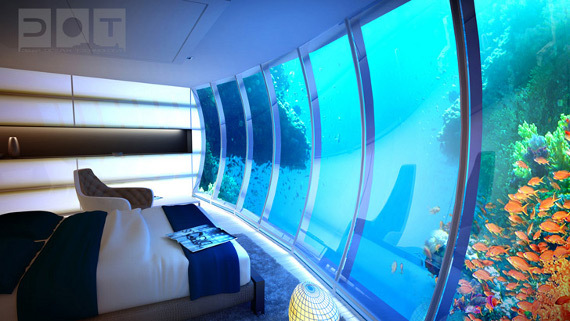 You’ll have to take the elevator or stairs to get down where the 21 suites are 10m deep. Which, in my opinion, is too deep. Alls I’m sayin’ is they be providing some water floaties! Or at the very least some Aquasocks. What? I got sensitive feet! 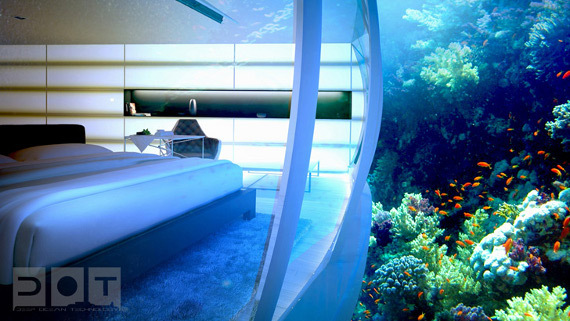 Is this or isn’t this a luxury hotel?